College was never really a question for me. I was one of the “smart” kids, and my parents had gone to college. Somehow, it wasn’t until I got to college and was knee deep in a women’s history class that I realized that this whole higher education for women was all relatively recent. Again, I can probably blame some of the books I read as a kid. 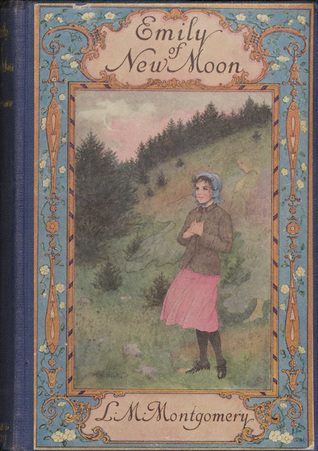 Higher education was never really a question for Anne Shirley–after all, with the stigma of being an orphan, she had to have a way to make her way in the world just in case a husband wasn’t in her future. Though Laura Ingalls doesn’t head to college, her sister Mary does go away to school. And as a teacher, Laura certainly kept learning. And so many of the books I love end before the main characters are college-aged, so it just wasn’t an issue. I didn’t discover Carney Sibley until I was an adult, but I instantly loved the depiction of college life in Carney’s House Party. 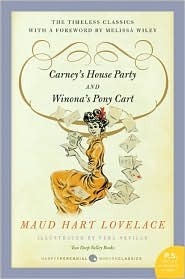 Like the other “teenage and older,” Maud Hart Lovelace books, this one has also been reissued in a lovely package. It includes an introduction by Melissa Wiley, best known for her prequels to the Little House books. There are other reasons to love Carney–infinitely practical, she falls head over heels for a man that is wrong on paper but is totally right. More than anything, this book is a romance. But I’m not here to talk about romance. Carney is an unusual girl for her time. Unlike her classmates from Deep Valley High, she goes away for college–all the way to New England and Vassar College. Among her classmates at Vassar, she’s unique in being “midwestern.” Not a lot of families were willing to invest that kind of money in their daughter’s education. Let’s give Carney a bit of context. Oberlin College was basically the first college in the country to admit women–admitting 4 in 1837. Vassar itself was founded in 1861, the second of the Seven Sisters (first was Mount Holyoke also in 1837 and last was Barnard in 1889). But just because these colleges existed didn’t mean that the general public accepted higher education for women. . .
By the 1880s, more and more women were continuing with their education–and more and more women were struggling to figure out what to do with that knowledge. Jane Addams has a wonderful passage in her memoir, Twenty Years at Hull House, that describes her frustration at having nothing to do–which ultimately led her to found Hull House and offer careers in social work to other educated women. Women would suffer nervous breakdowns if they were to compete in a man’s world. They would be corrupted and lose their purity. Their reproductive systems may be harmed. A learned woman might be an unfit mother and wife. If men and women associated together in college they may begin to find each other less attractive. So where does Carney fit in all of this? Right smack dab in the middle! In the midst of the house party, with all of its fun, Betsy reads an article from the Ladies Home Journal, one of the leading women’s magazines of the era. As she falls in love with Sam, it becomes clear that he wants her to continue school, because it will make her be a better wife and mother–another common belief at the time. And maybe it does. But at the same time, this modern feminist is a wee bit irked that Sam wants her to graduate, but there’s not much mention of Carney’s desires. Right now, I’m reading Sister of the Bride by Beverly Cleary. Set in the early 1960s, there are moments where I feel like I’m back in the 1910s with Carney. Greg wants Rosemary to finish school. Greg wants Rosemary to get good grades. But what does Rosemary want? For many of us, these kinds of thoughts and reactions and reasoning seems quaint and old-fashioned. Of course women can learn alongside men! Of course women should go to collge (in fact, for the first time, there are more women graduating from college than men). And yet, it’s still awfully complicated. How do you balance career and family? This isn’t something I’ve personally had to struggle with yet, but I do wonder how I’ll balance career and kids when the time comes. So, the conversation they had on Carney’s porch really wasn’t that long ago. And in some ways, we’re still having that conversation. Here’s to Maud Hart Lovelace of reminding us where we fit in the scheme of things. It’s gotta be tough having a star for a sister. You know you’re special, but how do you get your chance to shine? If in some alternate universe, all of an author’s creations were to meet, would Emily Starr get in a cat fight with Anne Shirley? Would Emily Webster be jealous of Betsy Ray? I’ve always found it somewhat ironic that when discussing either the Anne series or the Betsy-Tacy series, someone will periodically sigh and say “I really like Anne (or Betsy), but Emily speaks to me in such a different way. I adore her.” What are the odds that these much-beloved but not quite as famous characters just happen to share the same name? But this sentiment, though spoken often, is usually spoken quietly. It’s not quite sacrilege, but there’s this underlying feeling that we’re supposed to like the big name, the name that made the author famous, more. But somehow, there’s a passion for these two very different and yet very similiar Emilys. In celebration of the recent re-issue of Emily of Deep Valley, an event that has been heralded throughout the land, I present to you: A Tale of Two Emilys. These wonderful characters have so much in common, yet both are often ignored in favor of the bigger star of Anne or Betsy. I read these two books back to back, knowing that these two characters had some similiarities, but hadn’t realized how much they truly had in common. Basically, if you love one Emily, you’ll probably love the other too. “Yes, and not just for this year. I’m graduating. Do you remember, Grandpa? Both girls have slow, shy smiles. Emily Starr finds her first real friend in Rhoda Stuart, only to be dumped as soon as someone more interesting came along. But then Emily finds her true friends–Ilse, Perry and Teddy. Emily Webster never quite fit in with her cousin Annette and her crowd and is even more out of the loop once they head off to college. But then she makes friends throughout her community–friends in Gwen Fowler, Yusif and Kalil, and of course, Jed Wakeman. Can I digress just a moment to let you know how dreamy I find Mr. Jed? Yep, of all the love interests created by Lovelace, he just might be my favorite. Double sigh. Both girls make the best of their situation. Emily Starr finds the scraps of paper to write and write and write. She doesn’t let herself be cowed by Aunt Elizabeth (sometimes I wish I had a “Murray look” of my own!). Emily puts up her hair and begins to fill her time with things that interest her–dancing lessons and piano lessons and the Browning club and the Wrestling Champs and English lessons for the Syrian women. “I suppose you’ll not like candles very well, Emily, after being used to lamps at Wyther Grange,” said Aunt Laura with a little sigh. . .
Emily looked around her thoughtfully. One candle sputtered and bobbed at her as if greeting her. One, with a long wick, glowed and smouldered like a sulky little demon. One had a tiny flame–a sly, meditative candle. One swayed with a queer fiery grace in the draught from the door. One burned with a steady upright flame like a faithful soul. Aunt Elizabeth, coming in from the cook-house, heard her. Something like pleasure gleamed in her gulf-blue eyes. “You have some sense in you,” she said. A certain thing happened at New Moon because Teddy Kent paid Ilse Burnly a compliment one day and Emily Starr didn’t altogether like it. Empires have been overturned for the same reason. “Emmy,” he asked. “Is Jed courting you?” . . . Both of these books are deeply satisfying. And the new edition of Emily of Deep Valley is even more satisfying. Included is a bit of background on the woman, Maguerite Marsh, on whom Emily is loosely based and a too short biography of Vera Neville. Mitali Perkins wrote an amazing foreword, one that I’m not ashamed to admit made me tear up a bit. It’s one of those essays that speaks eloquently to the power of the right book at the right time. Wanting to know more. . .
A big part of the intrigue with kidlit history is the idea that there’s always more to discover. These favorite stories are based on something within the author’s life, which should make the biographer or historian tingle with anticipation. But, because these were written for children, these authors are rarely given the same consideration that writers for adults receive. It can be really hard to find more than basic biographical stats on many of these authors. In my mind, there are different levels of biography–the very basics (usually just a few paragraphs), a full length study of the subject’s life with little to no historical context, and then a full, rich study of the subject’s life and times. It’s become social history, not just biography. Isn’t the saying “no man is an island”? But it seems to me that many biographies (of anyone, not just writers) treat their subject as if that individual was only affected by their own actions and perhaps a few family members. I have yet to find a decent biography on Frances Hodgson Burnett, though based on the little bit I do know, it’s a great story. 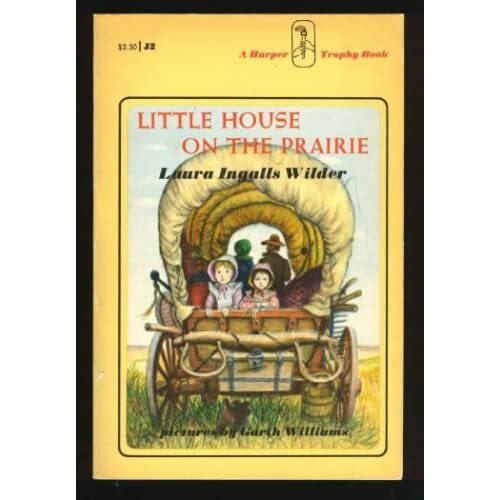 There are lots of biographies on Laura Ingalls Wilder, but I’m not sure any of them have jumped to that final level of biography. I’ve not seen anything significant on Sydney Taylor or Elizabeth Enright. And though work has been done on Maud Hart Lovelace, none of it is what I would call biography. Each of the recent non-fiction books focus on one part of her life, not the whole story. 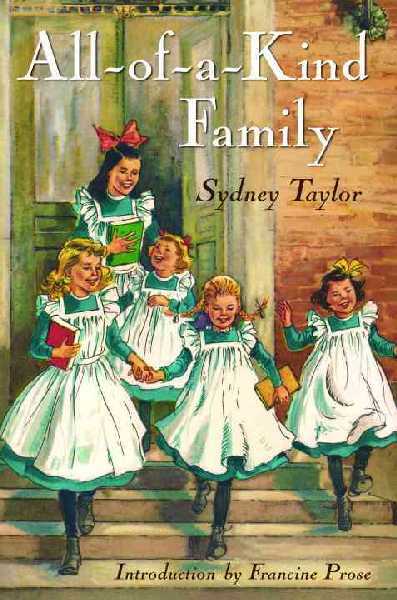 And while Sharla Whale’s Betsy-Tacy Comanion is a commendable piece of research, it’s not even close to a biography. The snarky part of me thinks it’s really just a collection of BT trivia. Two exceptions for this lack of scholarly consideration for children’s authors are Louisa May Alcott and L. M. Montgomery. In recent years, Alcott has finally become know for being more than just the writer of Little Women, but also part of one of the most interesting and intellectually well-connected families of the 19th century. Eden’s Outcasts by John Matteson is a stunning dual biography of Alcott and her father Bronson. Bronson was a fascinating though frustrating man. I’ve long been fascinated by how much happened in Concord in the mid-19th century, and this book help explains how it became such an intellectual hot spot. This week, PBS’s series, American Masters, is featuring Alcott. In Dallas, it’s airing on December 28 at 8 p.m. No idea on where this particular documentary falls in the biography spectrum, but it’s probably worth a look, especially if you’re unfamiliar with Alcott’s work beyond Little Women. Currently, I’m in the middle of one of the best biographies I’ve read in quite some time: Lucy Maud Montgomery: The Gift of Wings by Mary Henley Rubio. Montgomery scholars have a truly amazing cache of primary sources. LMM kept a journal for most of her life (and constantly recopied and revised it). They began publishing the volumes in the mid 1980s–I received my copy of Vol. 1 back in 1993. (I was 14–yep, the nerdiness goes way back!) Many, many biographies have been written. Books of scholarly essays have been published. Books of her letters have been published. When I heard about the new biography, I figured I would probably read it eventually, but it wasn’t a huge priority. After all, I’ve read more than a few biographies of LMM. I’ve read 3 volumes of her journals. I felt like there wasn’t too much more to learn. But then I had a conversation with another LMM fan/scholar at a convention about the other Maud. Kate told me it was the definitive biography, a must-read, and fabulous. It took me a few months, but I finally followed her advice. And now, I can barely put it down. Rubio’s research is astounding. She sets LMM’s life in context, her writing in context, and has remarkable insights into why LMM did what she did. I have newfound respect for LMM’s grandmother. I have more sympathy for her husband. And I cannot wait to re-read all of LMM’s novels. This is the kind of biography that more writers of children’s literature deserve. Again, Rubio has it easier than many with the wealth of material. However, she also gives LMM the respect she deserves–and the place she deserves in our society. Frankly, I’m tired of these author’s stories being discounted because they only write for children. Aren’t children the most important audience? These stories have become a part of our lives and our psyches, because we read them when we were young. They have shaped generations of young minds. Isn’t it time we know more about what shaped them? Excuse me, I have to get back to my book. PS If I’m missing any key and wonderful biographies of kidlit history authors, please let me know!